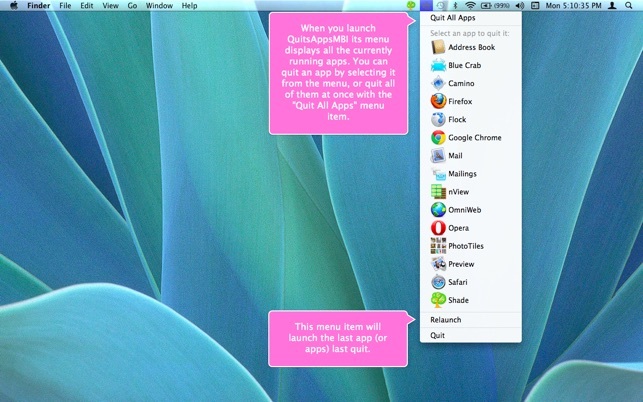 QuitsAppsMBI is a menubar app that can be used to quit all currently running apps at once, or just one at a time. 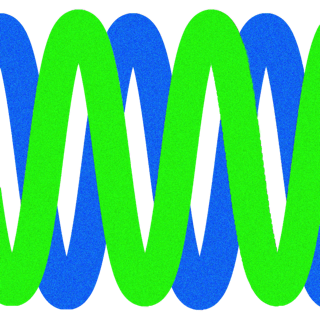 Visit the website for more information and a demo. 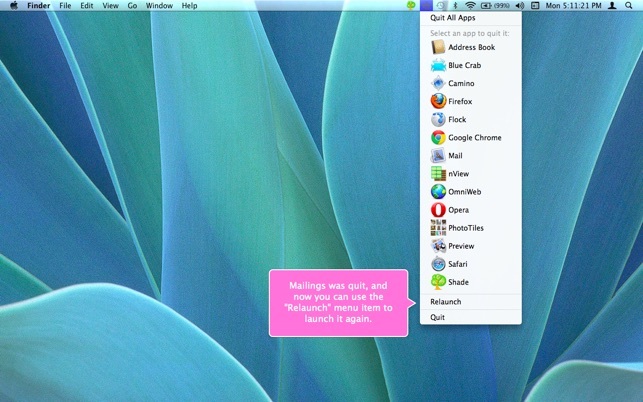 When you launch this app its menu is populated with the names and icons of all currently running apps on your Mac. 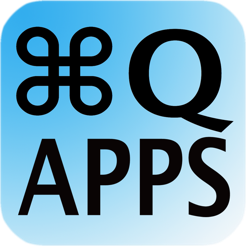 Select the menu item "Quit All Apps" to quit every app. Since this is achieved in the usual way, any app with unsaved documents will alert you asking if you want to save changes. After you quit any app or all apps, a menu item named "Relaunch" appears. Select this menu item to relaunch the app or apps. 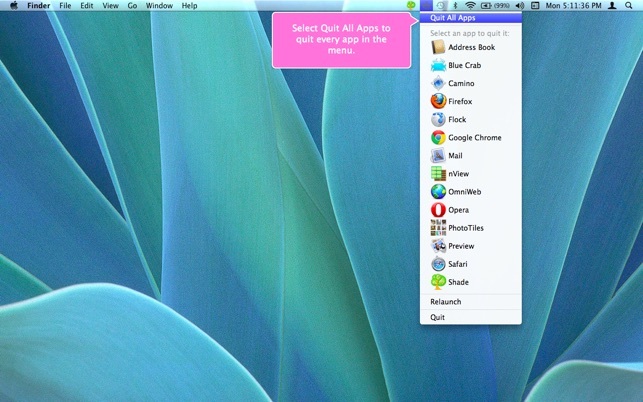 This is the menubar version of the app "QuitsApps". Always an Important Part of My Workflow. 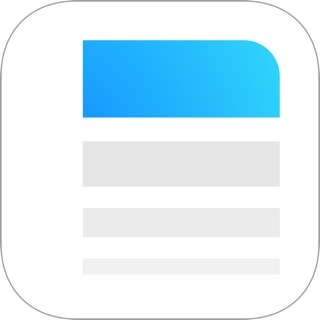 I grabbed this little munchkin app long before the Mac App Store materialized. Later, I opted to replace it with this store version. 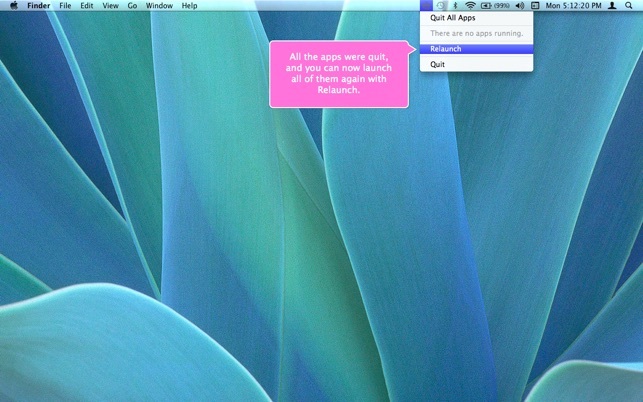 I’ve upgraded the OS a few times on my iMac, and Macbook Air, yet this gem has yet to stumble. The dropdown list is golden, allowing me to see at a glance precisely what’s running, with one-click shutdown-NOW ease for any singular item. 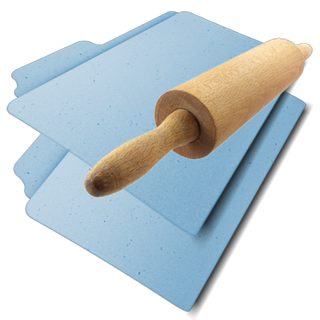 It’s one of those apps I don’t use frequently, yet when I need it, it does its job wonderfully. Frankly, I’m amazed that Yosemite didn’t somehow butcher it! Its menu bar icon still shows up, even with Yosemite’s dark/black dock/menuBar selected. No ads; just pure goodness.